Available May 11 - Nov 15, 2019 at $1,700/mo plus utilities. December-April 2020 is available for $4,000/month including utilities. 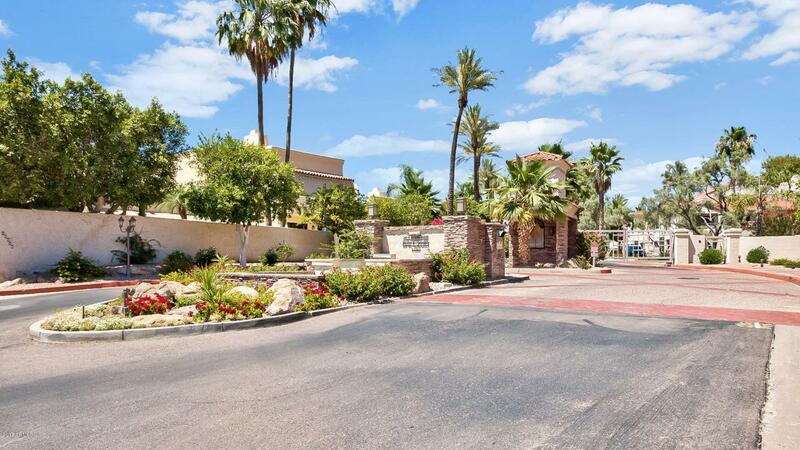 This furnished & updated 2 bed, 2 bath pool-view condo with master king bed and single car garage is located in the gated community of Scottsdale Bay Club in Scottsdale Ranch. Light, bright, and renovated, this condo is move-in ready! You'll enjoy two community pools and hot tubs, a fitness room, the community lake, and the Scottsdale Ranch Park. There is a walking gate at the bottom of the condo stairs which leads directly to the park. Rent does not include electric, cable, or internet. All occupants must be non-smokers. FEES: $500 cleaning (includes carpets), $25 HOA tenant registration fee, $50/adult application fee. One-time $100 admin fee. Listing courtesy of Talka International Realty.